Although the Kaby Lake-powered machines are the latest craze, the Skylake generation of CPUs is still around and budget laptops sporting the 6th Generation are often the most sensible solution for the general user. 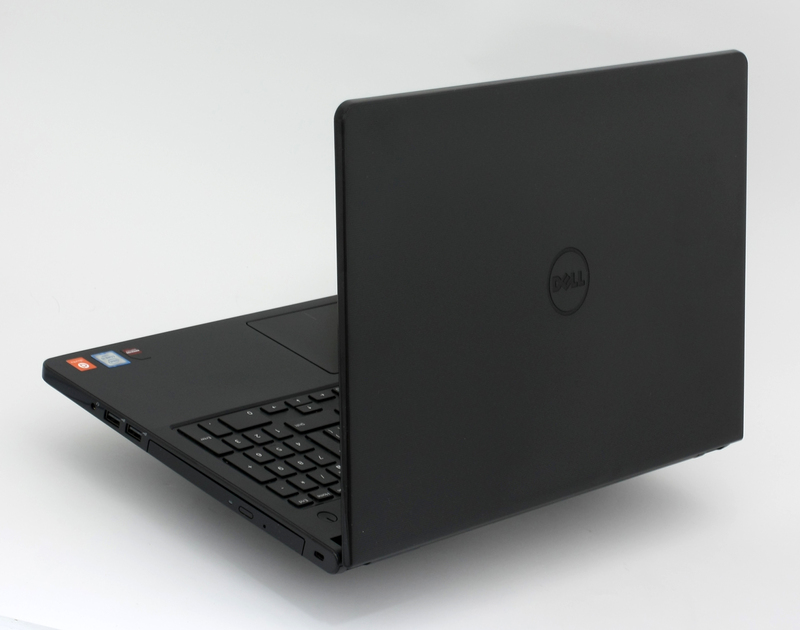 That’s why we are doing a review of the ultra-budget Dell Vostro 15 3559, which should satisfy the needs of a the not-so-picky businessmen. The notebook comes in a standard box containing the usual user manuals, AC cord and charging brick. 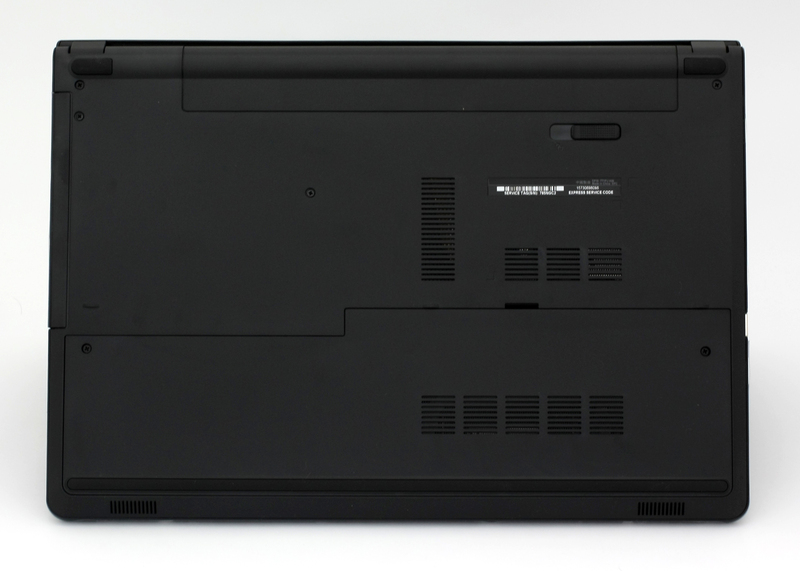 The chassis of the Vostro 3559 is identical to the Inspiron 3552. It’s so identical that even its dimensions and weight almost match with just 3 mm difference in height and a little bit over 200 gr in weight. 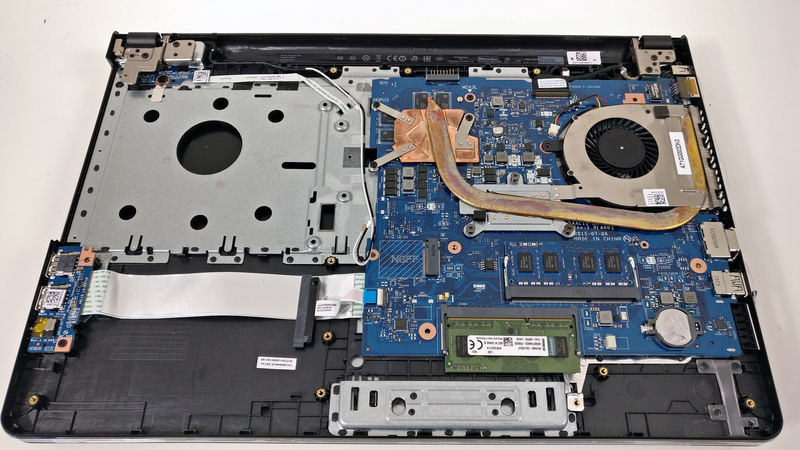 Of course, the Vostro 3559 is the bulkier one since it uses a standard fan to keep the Core i5-6200U cool while the Inspiron 3552 we tested earlier this year had a passive-cooled Pentium N3700 processor. Anyway, most of what we didn’t and did like about the Inspiron 3552‘s design and build stands true for the Vostro 3559 as well. We’ve got again the bouncy lid with textured plastic finish that attracts fingerprints and tight hinges, which don’t allow one-handed opening of the laptop. 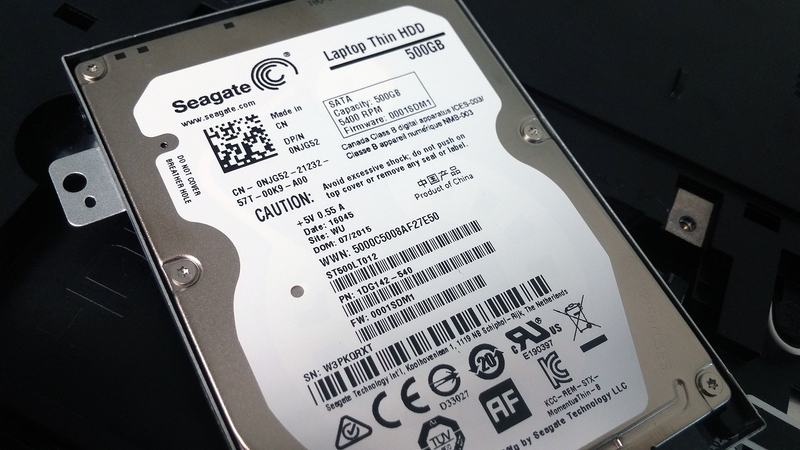 The bottom piece once again gives access to some of the hardware like HDD and RAM via a service cover. 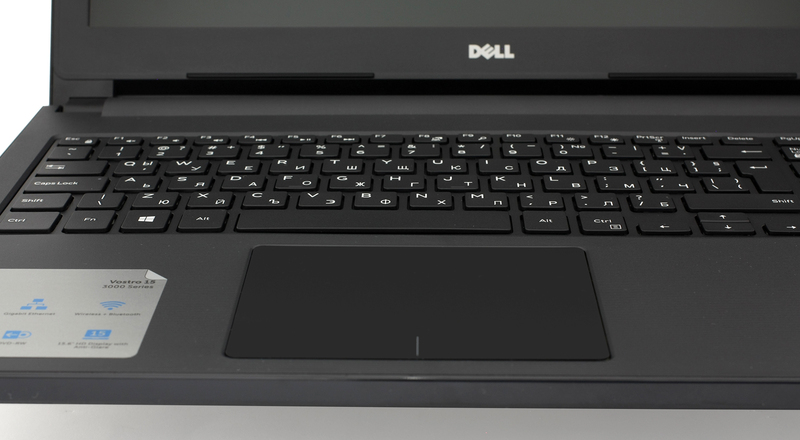 The sides follow the usual design signature for Dell’s lower-end lineup with a glossy finish and flat shape. 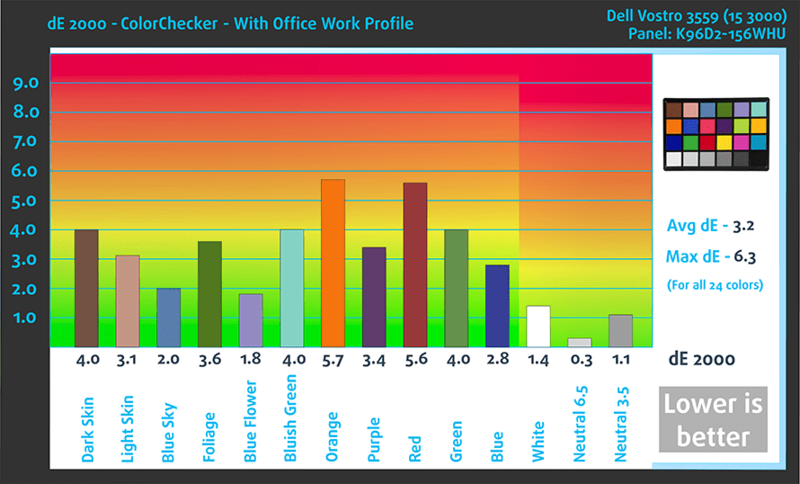 Though, the port distribution is quite different from the one on the Inspiron 3552. 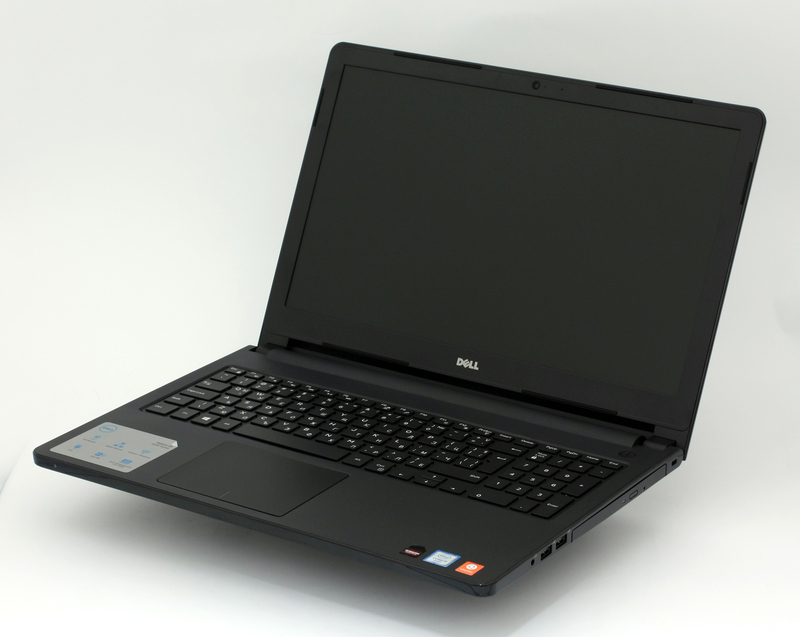 The left side adopts the LAN, VGA, USB 3.0 and an SD card reader. Whereas the right side goes along with two USB 2.0 connectors, 3.5 mm audio jack and the optical drive. The profile measures at 24 mm so portability is definitely a feature here. 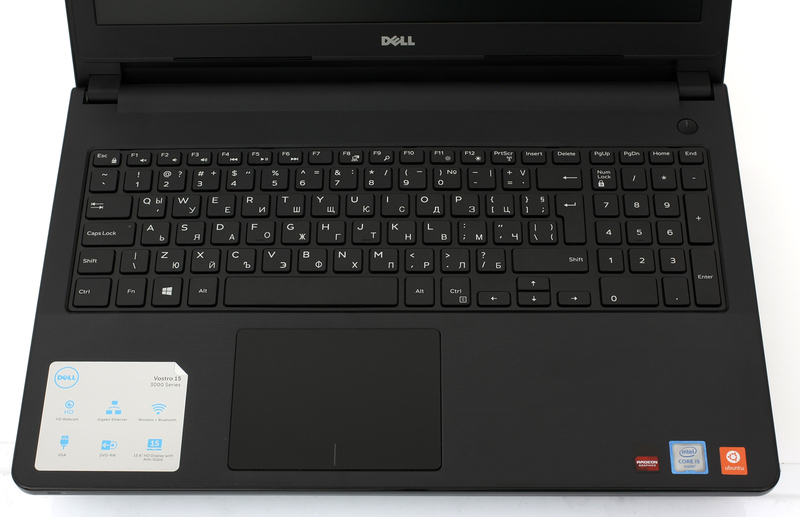 Continuing with the interior, we find the same textured somehow soft-touch plastic finish around the keyboard and touchpad. The material ensures rigid base with no apparent flexibility in the keyboard section and palm rest area but still attracts too many fingerprints and smudges. Speaking of the input devices, the keyboard feels a bit mushy with less than optimal key travel and no feedback to compensate for that. You might think that we are overreacting for a laptop at this price range but since it’s business-oriented, we expect nothing less than comfortable typing experience. On the contrary, the touchpad feels pretty nice without wobbles and offers light mouse clicks and responsiveness. The surface isn’t exactly the best for gliding your finger across it but it’s a small setback to consider. Again, there’s nothing special about the notebook’s design and the only thing that we genuinely liked is the rigid base and comfortable touchpad. The rest is just okay and we would like the future model with more appropriate keyboard for the target audience. 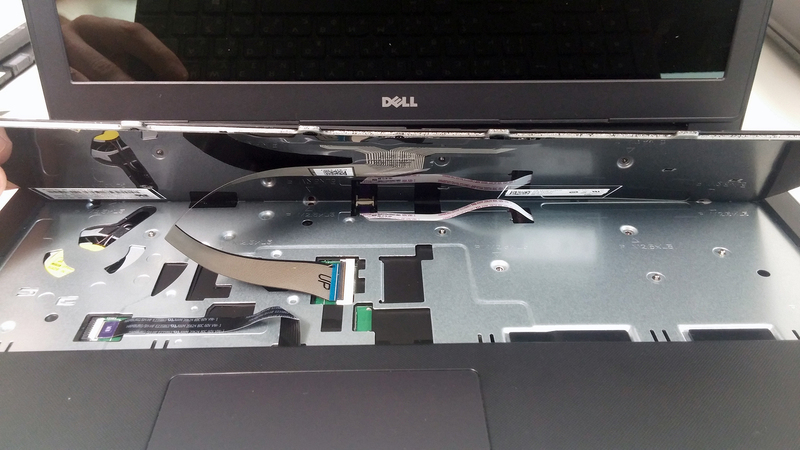 Since the Inspiron 3552 and Vostro 3559 share the same casing, the disassembly process is identical. 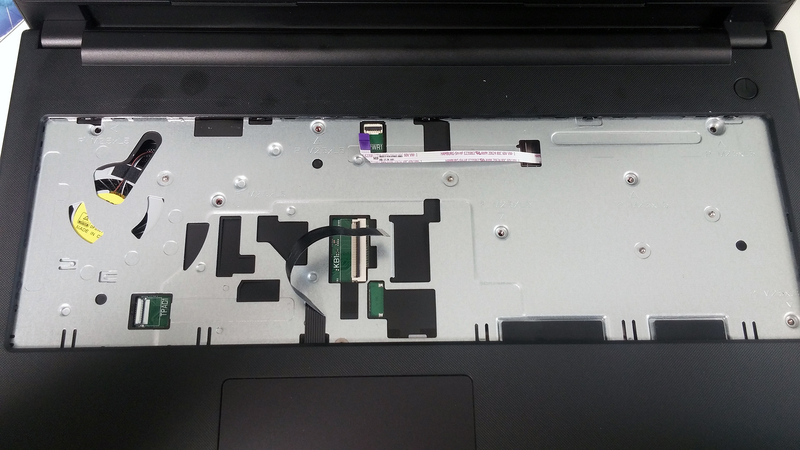 You will have to remove all the screws around the bottom but keep in mind that there are some under the optical drive, service lid and the battery. Then, proceed by popping out the keyboard as there are several screws beneath it as well. The only difference is that the Vostro 3550’s motherboard is flipped face up and the cooling design is slightly different. 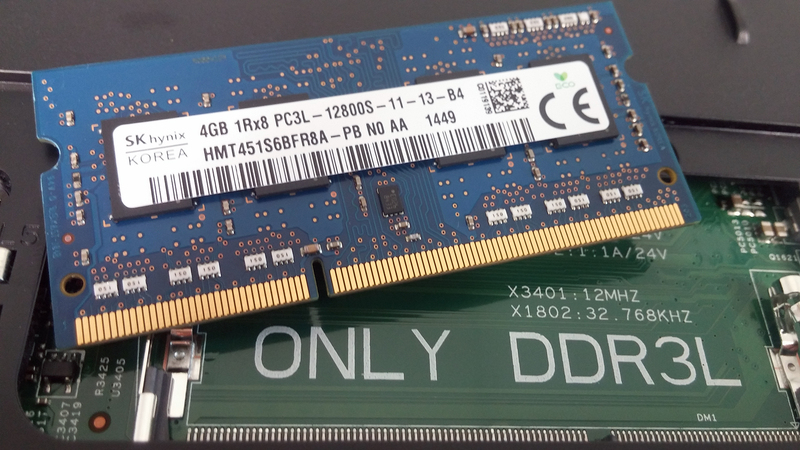 Surprisingly, the motherboard holds two slots for RAM, one of which is occupied by an 8GB DDR4-2133 SK Hynix chip. The Wi-Fi card is easily accessed by removing the service lid. 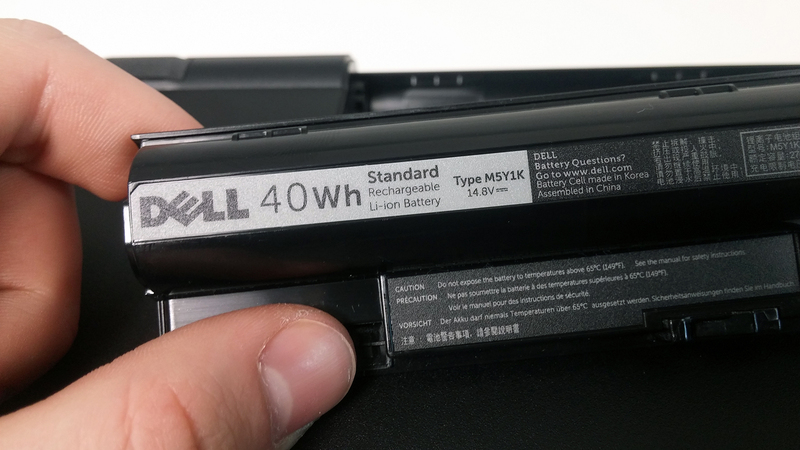 But as far as the battery is concerned, you won’t need any tools to access it. 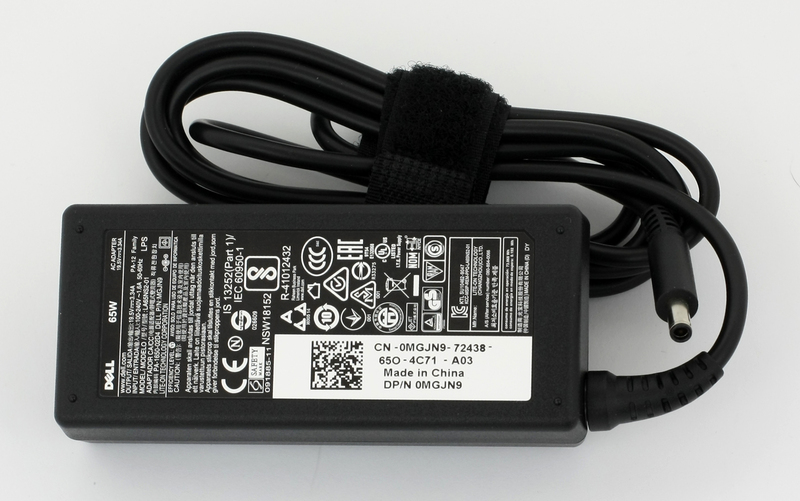 It’s held by a lever switch and it’s rated at 40Wh. The cooling design is fairly simple – just a big cooling fan pushing the hot air out of the chassis through a big vent opening on the side. The fan is connected to the CPU’s heat sink via a copper heat pipe. The notebook uses a TN WXGA panel with HD (1366×768) resolution manufactured by LG Philips with model number LP156WHU-TPA1. This means that the pixel density is just 100 ppi and the pixel pitch is 0.253 x 0.253 mm. It can be considered as “Retina” when viewed from a distance equal or greater than 86 cm. There’s a noticeable color shift under a 45-degree angle as you can see in the image below. We measured a maximum brightness of just 183 cd/m2 in the middle of the screen and 190 cd/m2 as average so the maximum deviation is just 12%. It will be sufficient for indoor use but if there’s a strong light source or if you are outside working, you will find it uncomfortable. The matte finish will reduce the glare, though. And as far as color temperature is concerned, it’s deviating from the optimal 6500K. We measured 7590K so colors will appear colder than usual. 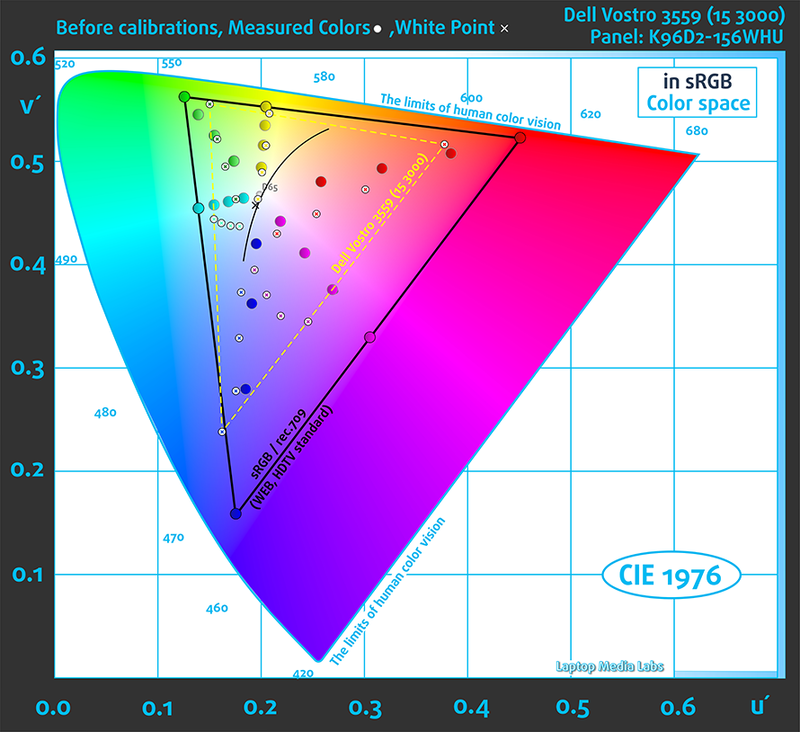 The contrast ratio is extremely low measuring just 280:1 before calibration and 240:1 after. The maximum color deviation dE2000 is 2.4 in the left part of the screen. Values above 4.0 are unwanted. 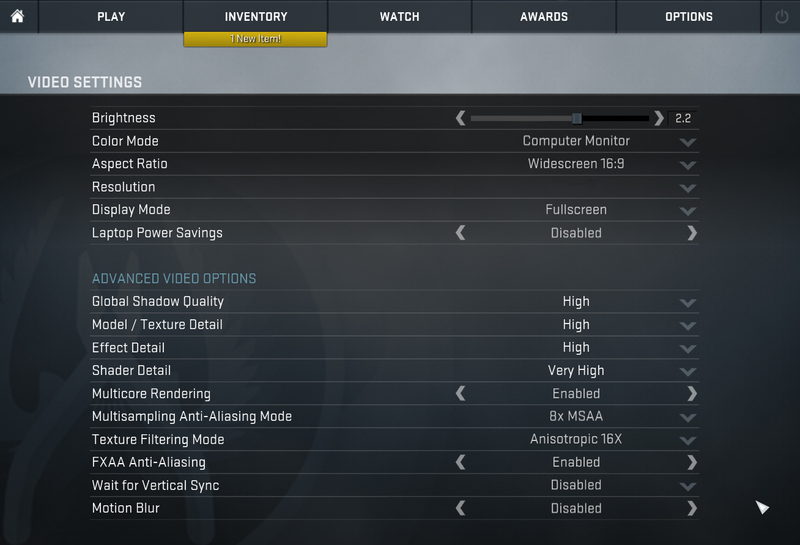 The sRGB coverage of the screen is 56% and it’s presented with a yellow dotted triangle in the graph below. Our equipment was able to detect pulsations from 0 to 99% screen brightness but at higher than usual frequencies making it relatively safe for working long hours. However, some users with extra sensitive eyes might feel the 20.3 kHz flickering. We were expecting mediocre performance from the panel, considering the price range of the product, and most of the drawbacks like excessive blue light emissions, PWM, color inaccuracy, gamma and color temperature can be fixed by installing our profiles. However, the low maximum brightness and extremely low contrast ratio can’t be fixed with just a software tweak and you might have to settle in this regard. The sound quality is good for this class without any noticeable distortions and high and low frequencies. We used a freshly-installed Windows 10 (64-bit) when testing the unit and if you also wish to perform a clean install of the OS, we suggest downloading the latest drivers from Dell’s official support page. The Vostro 3559 relies on a 40Wh battery unit when it’s off the charger, thus the endurance of the machine of your everyday tasks will be slightly above the average for this price range. The notebook scored a runtime in the web browsing test. Of course, all tests were performed with the usual settings – Wi-Fi running, Windows battery saving feature turned on and screen brightness set to 120 cd/m2. Just around the average for this price range – 332 minutes (5 hours and 32 minutes). Considerably lower but still on par with the competition – 291 minutes (4 hours and 51 minutes). The AMD Radeon R5 M315 is an entry-level dedicated graphics card often found in low-end notebooks for multimedia and business. The chip is manufactured on the 28nm node from TSMC containing 320 shader units, 28 ROPs and 112 TMUs clocked at 970 MHz. It’s still unknown whether the GPU is based on GCN 2.0 or GCN 1.2. 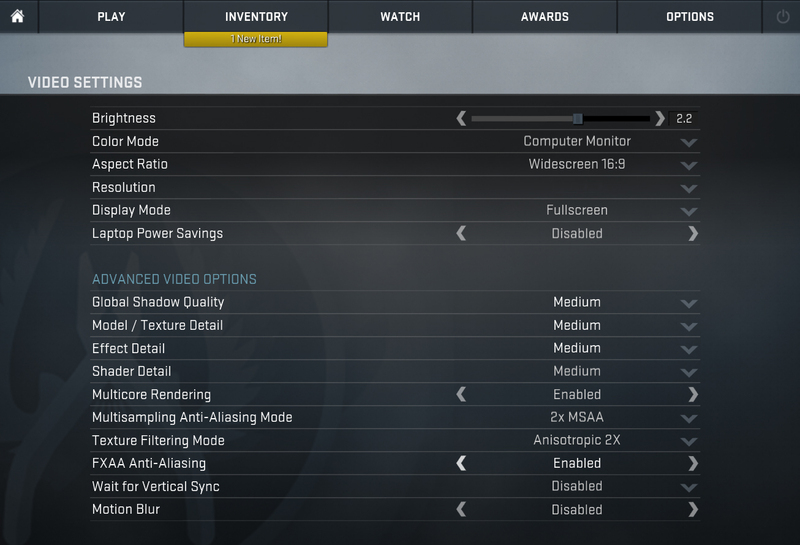 The chip is equipped with 2GB of DDR3 VRAM clocked at 1800 MHz making it suitable for some light gaming. However, some of the latest games will be playable only at lower resolution and minimum graphics settings. Although this isn’t a gaming notebook nor does it have a hardware to handle the latest games, the AMD Radeon R5 M315 can handle some light gaming every now and then. The two-staged stress test doesn’t represent real-life use but gives us a good hint of how the system handles higher loads and how the machine will fare in the long run. 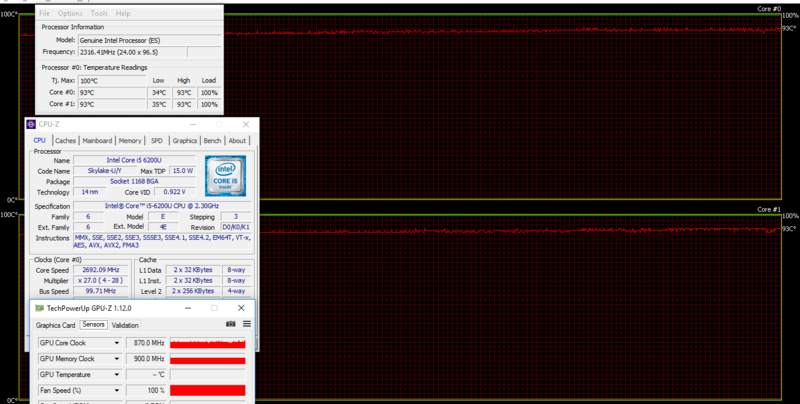 We start with 100% CPU stress test but we saw nothing out of the ordinary. Normal temps, normal clocks. At first, the chip was able to maintain its maximum Turbo Boost frequency of 2.8 GHz but eventually toned down to 2.7 GHz. 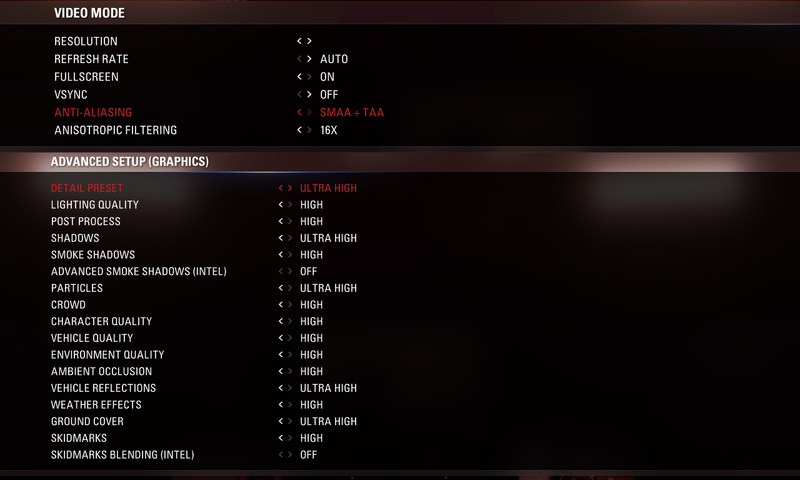 Things didn’t change as much, as far as the CPU is concnerned, when we switched on the GPU stress test but the same cannot be said about the GPU. 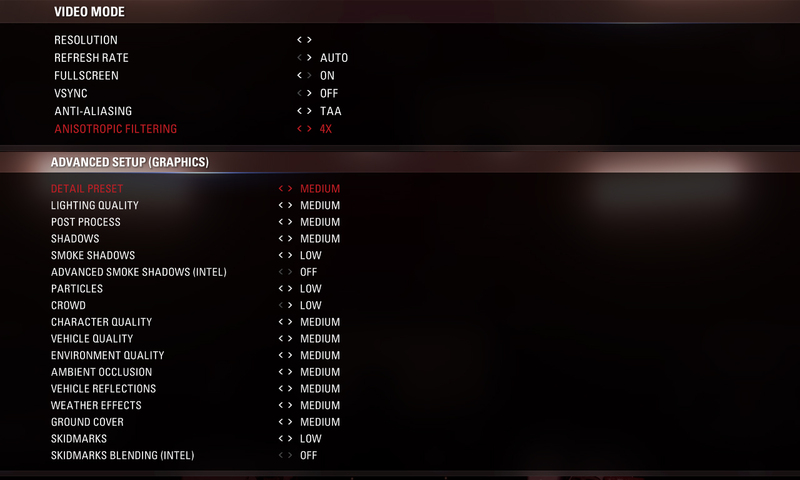 While the CPU temps climbed to 90 °C and maintained maximum operating frequency, the AMD Radeon R5 M315 was going up and down from 870 to 970 MHz, which can be considered as throttling. However, due to the nature of the laptop and its intended use, we can’t really say this is going to be a problem for the end user. Surface temperatures were abit too high, especially for a business-oriented notebook and the hottest area was around the left side and the center of the keyboard. 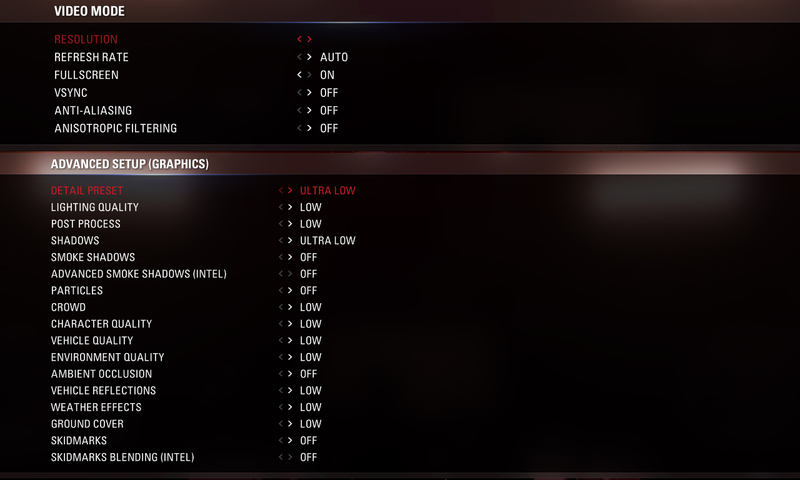 However, this shouldn’t be of any great concerns since the laptop isn’t and will not be used for gaming or other demanding tasks for long periods of time. 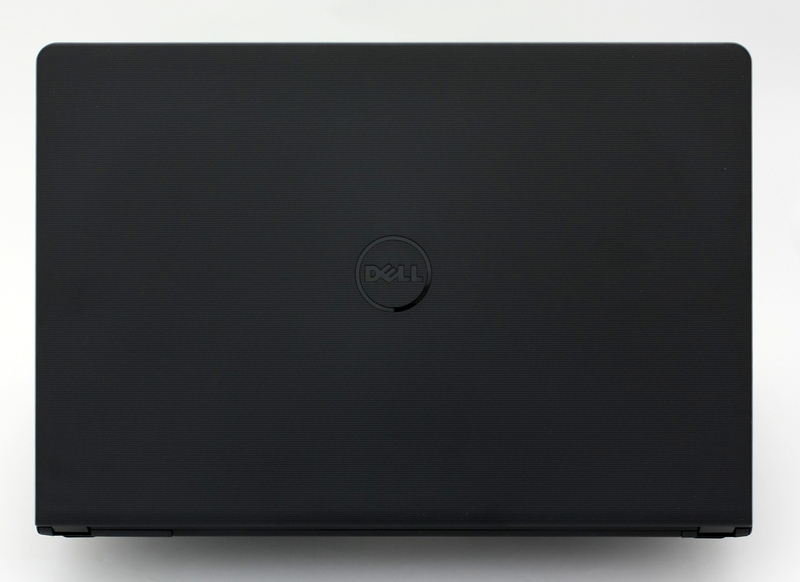 Dell decided to go on the safe path with the Vostro 3559 with a familiar design, features and specs. However, that doesn’t mean it’s the best way to handle things in the emerging low-end market. Now, there are far more lucrative offers like some of the HP ProBook 450 G3 configurations or the refreshed ASUS X556UQ notebook with Core i5-7200U and GeForce 940MX GPU. 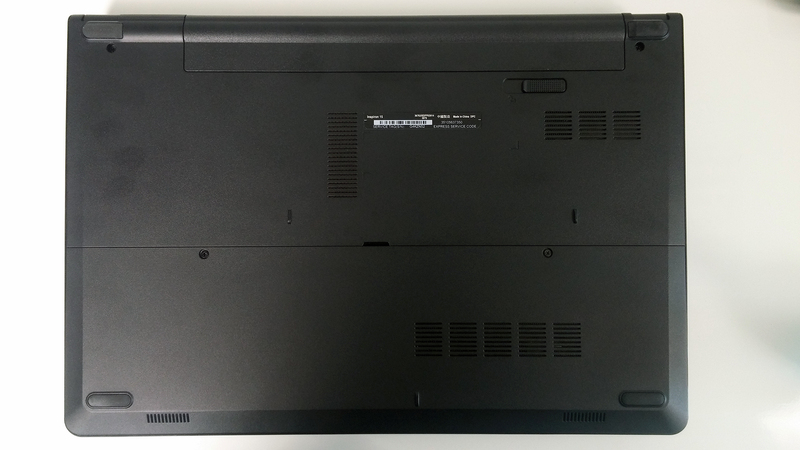 For a few extra bucks, you can even opt for the durable Latitude 3570, which is superior to this one in almost every aspect. 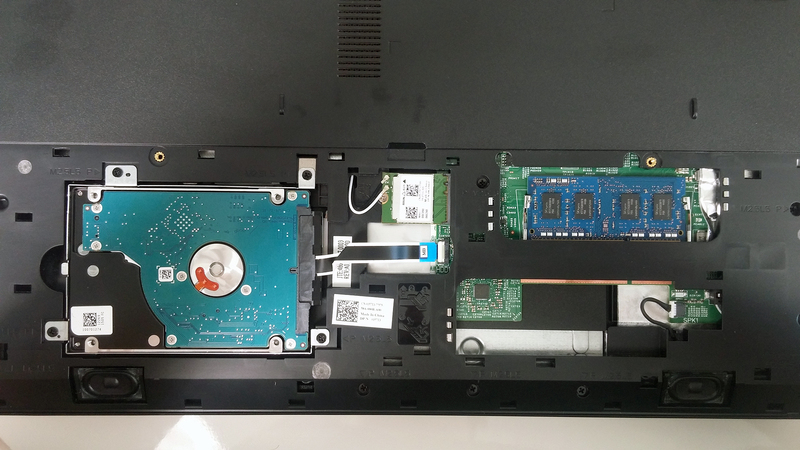 You might also want to consider the Acer Aspire E5-575G, which fared pretty well in our tests and might probably be one of the best budget solutions we’ve reviewed so far. 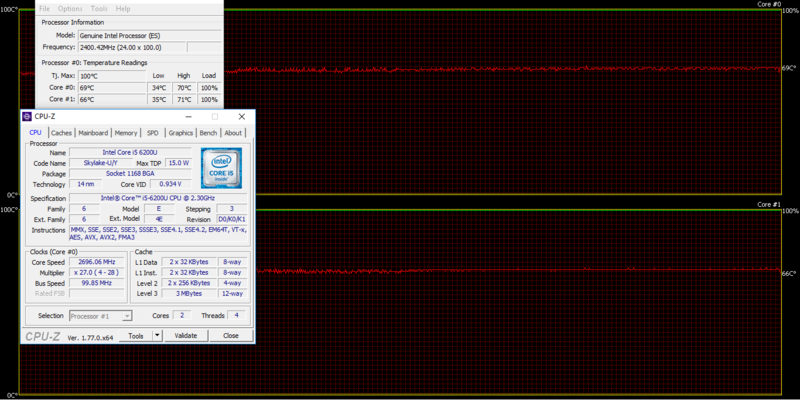 A pretty close call with the ProBook 450 G3 actually. Don’t get us wrong, though, the Vostro 3559 is a pretty good bargain for the small business, but lately, “good” just isn’t enough. Why settle for less when you can have more than just a good touchpad and decent battery life. 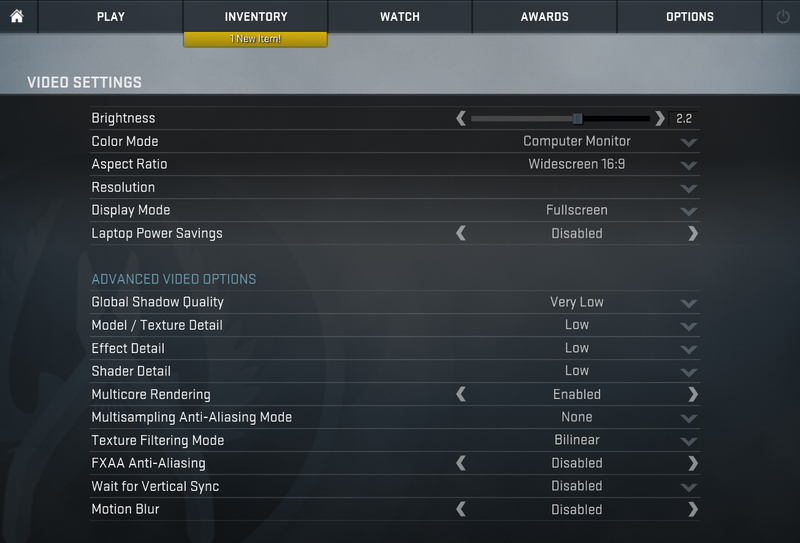 Our main complaints are the keyboard, build, subpar display quality and probably the inefficient discrete GPU. 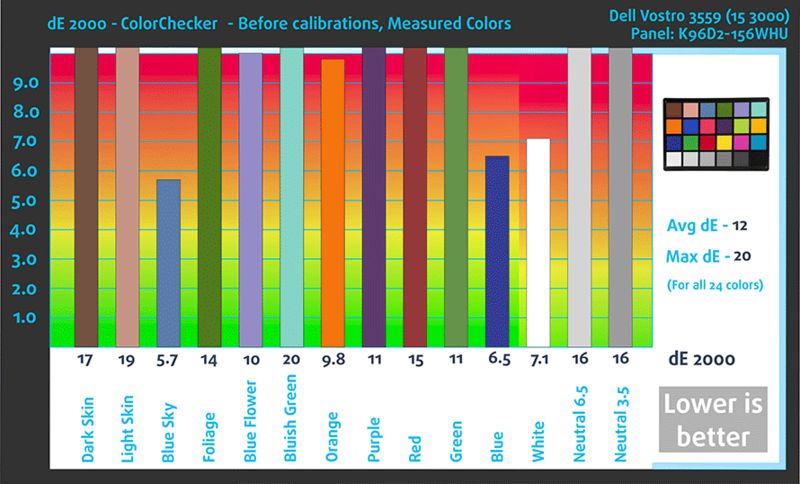 Still, some of the screen issues can be fixed with our custom profiles – the Health-Guard profile will eliminate the PWM while the Office/Design Work will correct the huge inaccuracies in color reproduction. With that being said, the relatively lower price is the main advantage over its competitors.